YOUR DJ IS THE DRIVING FORCE BEHIND YOUR RECEPTION. YOU’RE GOING TO WANT SOMEONE EXPERIENCED TO GUIDE YOUR GUESTS THROUGHOUT THE NIGHT. 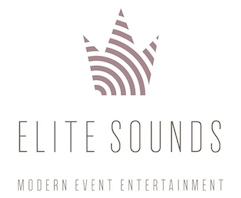 At Elite Sounds, all of our DJs have at least 5 years of experience running weddings. Here are some of the features that make up an Elite Sounds DJ. Can lay out a wedding timeline. Can facilitate a timeline of formalities as a professional and to the point emcee. Can read a dance floor and provide past successful dance floor requests advice. Is organized and a timely communicator. A desire to make your event the best representation of your vision possible.